There are a variety of single family homes within the price range of $350k – $450k within Columbia, Maryland, a community consistently ranked by Money Magazine’s Best Places to live in America. Columbia is a premier icon of community development and residential living. It was developed by James Rouse and his vision to create a beautiful, self-contained community which enhances residents’ life and promotes cultural, recreational, economic and social harmony. Columbia is a community that offers everything for everyone. Columbia is made up of ten villages. Each village has its own Village Center, with shops, a community center, neighborhoods and schools. Daily living conveniences of a grocery store, dry cleaner, and restaurants are found within each Village Center. Within Columbia, there are over 40 ponds and lakes, 94 miles of walking, jogging and biking paths, and 3,500 acres of open space. 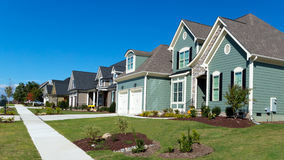 Neighborhood amenities include parks, basketball and tennis courts, tot lots and swimming pools. Situated in an ideal location between Baltimore and Washington D. C., it is home to many commuters, and offers easy access to the metropolitan cities of Washington, DC and Baltimore. As part of the Howard County Public School System, Columbia schools are rated as some of the top schools in U.S. News & World Report. Many Columbia residents enjoy the vast array of cultural, recreational and community services offered through the Columbia Association, in which the mission of Columbia rings true: Working every day in hundreds of ways to make Columbia an even better place to live, work and play. Friendly move-in ready home looking for new owners. This well cared for 4 bedroom, 2 and a half bath, split level is open and filled with light. The added sunroom creates plenty of space for large plants or entertaining. The rear yard is fenced and backs to a large semi-private maintained common area that is connected to Blandair Park North. Lower level contains a family room with fireplace. This home has both character and charm and has location, location, location. Quiet street with mature trees. Won't last long. Check out the video!